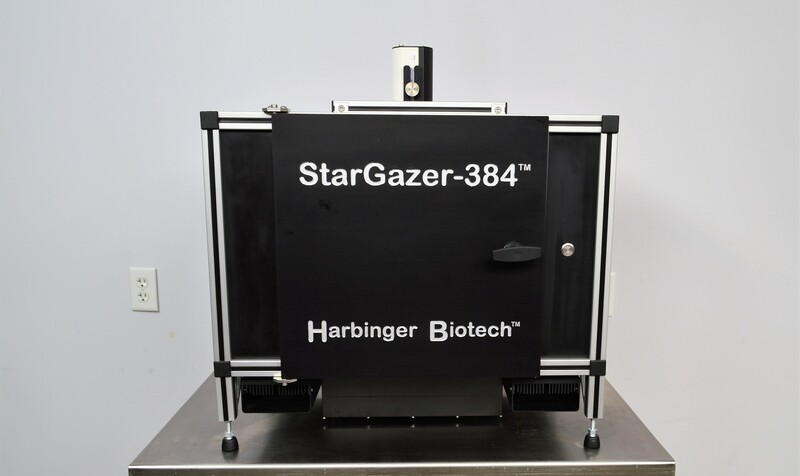 Harbinger Stargazer 384 DLS QICAM QIC-F-M-12 Microplate Reader Imager Proteomics . New Life Scientific, Inc. This Harbinger differential light scattering system is in excellent cosmetic condition with very minor signs of wear. The system appears to be incomplete and therefore the functionality could not be confirmed. This product will be sold as untested and working, if the software and power supplies are supplied by the end-user. The only components included with this ad are what is photographed. No testing was performed on this instrument, because the power supply required for the QICam and PC was not acquired. Epiphyte3 currently owns the Stargazer technology and has continued the product line with a Stargazer-2 model. Service and software support has not been confirmed available from Epiphyte3.